Van Wagner Airship Group has been in the airship production and advertising business for over 25 years. We have helped orchestrate some of the greatest blimp advertising campaigns in the world and are considered the industry experts in blimp advertising. Putting together an airship advertising campaign is like a puzzle, we help our clients identify their main objectives and then design integrated campaigns to help them achieve them. If your campaign objectives are aligned with the blimp advertising benefits listed above, an airship might be a good choice for your brand. Next, you need to decide which markets are right for your blimp advertising campaign. For the best advertising value, and to see the return on investment you are looking for, we suggest that your brand’s blimp fly a minimum of at least three months. Next, you will need to determine what size of airship you would like to fly. Van Wagner Airship Group offers three sizing options. Our largest blimp, the A-170LS, includes a 70ft X 30ft color LED video screen pictured below on the DIRECTV blimp. All of our ships are referred to as “lightships,” this simply means that they have internal illumination allowing for visibility at night. We are one of the only blimp providers in the world that offers lightship capabilities. If you have any questions about Van Wagner Airship Group or any of our airship advertising capabilities, please don’t hesitate to contact us today. 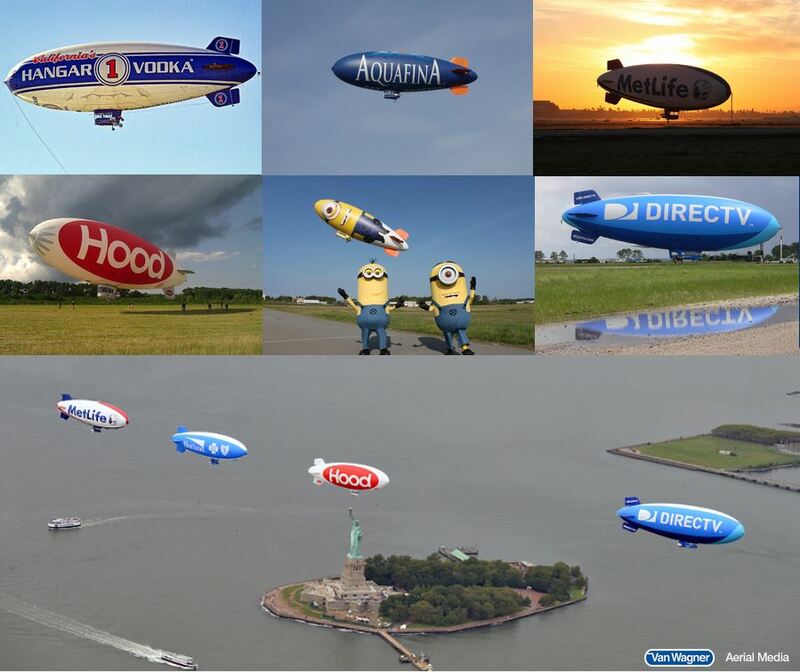 If you think your brand is right for a blimp campaign, click below for a free quote! One of our representatives will get back to you as soon as possible.